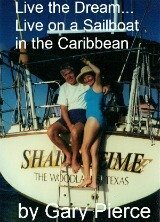 Retire to Mexico by RV...a Canadian couple, fed up with the high cost of living, Canadian weather, etc...took off in 2000 by travel trailer to visit Mexico. "We were fed up with the high taxes and high cost of living and going to work and coming home in the dark. The longer they stayed in Mexico, the surer they became that this country was meant to be their new home. They found mechanics who were competent and cheap. They traveled up and down the length of the Baja Peninsula, and then south along the Mexico mainland and the Sea of Cortez through Bahia Kino, Guaymas, and Mazatlan. On the Pacific coast, they spent time in San Blas and Sayulita before heading east into the mountains. When they arrived at Lake Chapala, the deal was sealed. 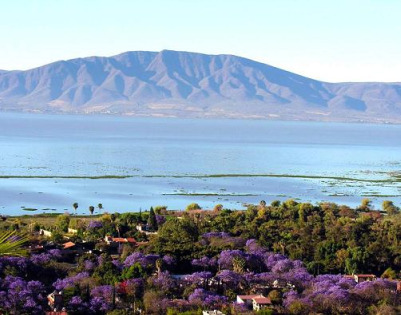 On a large plateau in the Sierra Madre mountain range in the middle of Mexico, Lake Chapala is just south of Mexico's secondlargest city of Guadalajara. At an elevation of about 5,000 feet, but on the same latitude as Hawaii, the weather is near-perfect year round, with temperatures in the mid-to-high 70s practically every day." After living in their new home in the Lake Chapala area for 6 years they now are very sucessful Realtors. They enjoy sharing their experiences with potential clients, are a great resource for local services, and generally enjoy their new home. "We have a beautiful home with a great lake view that we could never afford in Toronto, Barbara says. We love the fact that at a low cost we can have a housecleaner and a gardener to help with our chores. And living outside in fresh air is a lot healthier than living in dry heated air in the winter and recycled air conditioning in the summer. We're here to stay." It took this couple three years to find the perfect spot for them in Mexico. The RV was a means for them to experience Mexico without putting down roots. We here at frugal retirement living did the same thing in the US. Using an RV to explore Mexico is a great way to try before you buy. Enjoy.